A contraceptive injection is given every 12 weeks, usually in the buttock. Like the single hormone pill, it contains a progestogen hormone, which is released into the blood very gradually. 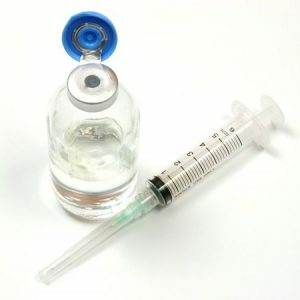 The best-known contraceptive injection is Depo-Provera. The contraceptive injection is as effective as the pill. It works the same way, preventing ovulation, making it more difficult for sperm to enter the uterus, and making the inside lining of the uterus thinner. The contraceptive injection is given on the first day of the period, or six weeks after the birth of a baby. The contraceptive injection is immediately effective. Breast-feeding is no problem. The contraceptive injection is given by a physician or nurse.